Did your windscreen get damaged? Do you want to save money on getting your windscreen repaired? Fast car glass can cater to all of your Manchester windscreen repairing needs and is the best Manchester Windscreen repairing service you can find in your vicinity. We offer high quality repairing services that will not only save you a lot of your money but after we’re done with it your windscreen will look like a brand new one. We are by far the only company that provides the highest quality service in this area. 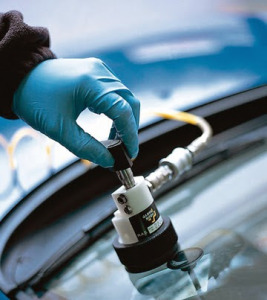 We use state of the art technology and highest quality materials to fix your damaged windscreen. Here are some of the reasons why you need to come to us for your windscreen repair. You must be wondering why we are the best. After all every Manchester car glass repair shop out there claims the same thing doesn’t it? So why believe Fast Car Glass? You have the absolute right to ask this question. And we’re going to answer it for you. Most of the shops you’ll find will claim to provide you with a very speedy service. But is that all you’re looking for? Absolutely not. Through our years of experience, we’ve discovered that when a customer walks into our store, he is not only looking for a speedy service but also a quality service. To an average customer, quality of the service often matters a lot more than speed. You will find tons of Manchester repair shops claiming to have you on your way within half an hour to 45 minutes. But do you think they will be doing as good a job as well? Absolutely not! They will do whatever they can to stick a new windscreen on your car and have you on your way within the time they claim. Quality does not matter to them. But to an average customer, it does more than the speed of the job. 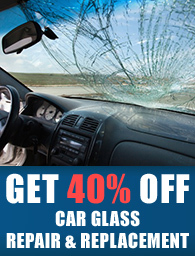 This is why the services we provide at Fast car glass are the best among all competitors. We not only value speed but also quality! With the help of our state of the art technology and machinery, we repair your damaged screen or hook you up with a new one within the shortest time fragment. We have a general rule here that we follow at all costs. We never let the quality of the job compromise in order to provide speed. This is because we believe in making customers not taking advantage of them. We believe that if we provide a good service, the customers will keep coming back to Fast Car Glass which is why we often go beyond our way to cater to all their requirements and provide them the best possible service at the most cheapest rates. This very reason is also why we don’t use any substandard material. All material and machinery we use is accredited A grade material which is of the highest quality. This ensures that the repair job done by us is of the highest possible standard. Fast car glass does not scam you into spending more money. Most windscreen or car glass repair services in Manchester will scam you into spending more money so that they can earn more and also because a car glass replacement is a much simpler job to do. But not us! We value your hard earned dollar as much as you do. Therefore we do not turn you away for a repair unless the damage is absolutely beyond it. You will find many repair services companies who will turn you to a whole new windscreen for the slightest chip on your windscreen. We, however, will do whatever we can to repair your windscreen before you offer you the alternative, more expensive solution to replace windscreen. It will be at, however, your discretion whether to get it repaired or to get a brand new windscreen. We offer you with not only our honest advice but also a very speedy service. We try our level best to have you on your way on the earliest. You time is also valuable to us and therefore, we give you an appointment and expect you to reach on time so that we can begin with your service, for a repair job. When you reach, we analyze the damage and provide you with the options you have. It is then your decision whether to get a replacement job or a windscreen repair job for your windscreen. 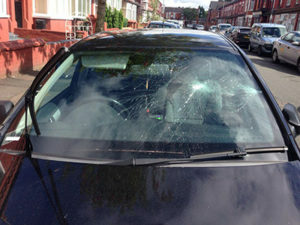 Our windscreen repair jobs however, are highly professional and of high quality. After we’re done, your windscreen looks as if it’s brand new with no indication of any damage whatsoever. Although we are offering a very speedy service, it does not mean that we compromise on quality. Through our experience of thousands of repair jobs over the past years, we’ve gained enough knowledge and skill to professionally do a repair job on your windscreen and car glass in the shortest time. We use the highest quality materials and state of the art technology to repair your windscreen such that you don’t have any trouble with it again. So what are you waiting for? Call us right now to book an appointment and come visit us so that you can see all this for yourself. Once you come, you won’t stop coming.